It's that time of year again! We are holding our annual Bring & Buy sale at 9.15 pm after the third rehearsal back (on 19 Jan) to raise funds for the choir. Ideal for re-homing any unwanted Christmas presents or other things that may turn up should you find yourself having a clear out. Also cakes, chutnies and cordials. All are welcome: choir members, friends and family and anyone else interested. Pricing is on a strickly win-win basis. Made us an offer and leave with a bargain. 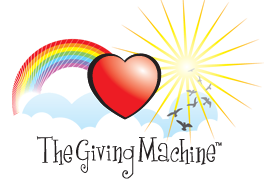 ​A fabulous total of £264.06 was raised on the night! Our first concert of 2017 follows hot on the heels of Bath’s Bachfest brimming with music of the Baroque! Vivaldi’s exciting Gloria and aria Nulla in mundo pax sincera coupled with Bach’s magnificent Magnificat and beautiful motet Jesu, meine Freude guarantee an evening full of spirit and joy! This concert is dedicated to the memories of Annette Barker and Evelyn Symes, both former members who sadly passed away just before Christmas. Following on from a wonderful performance of Purcell's Dido & Aeneas in 2015 BCG returns to the world of opera, or, strictly speaking masque/semi-opera with a concert performance of Purcell's The Fairy Queen. Bath Cantata Group (Bath’s longest running chamber choir, established in 1955) is delighted to invite singers for our fourth Come and Sing Choral Workshop. 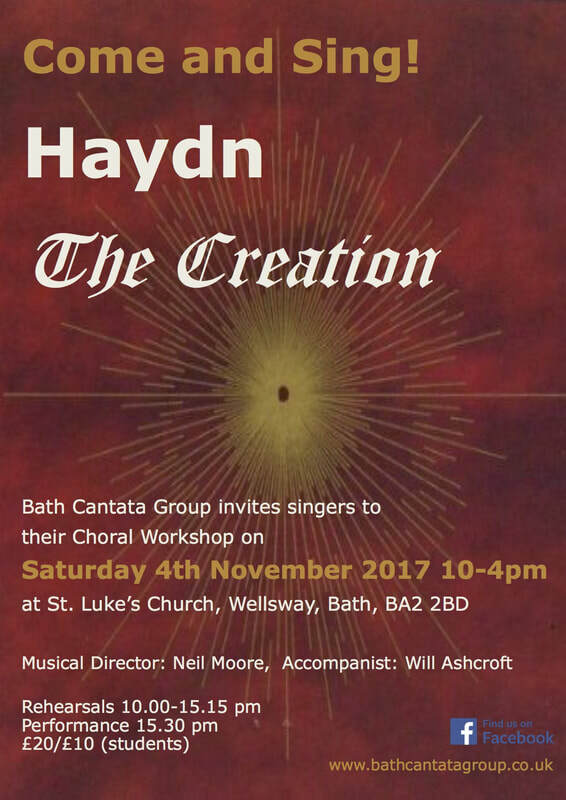 We will be singing the choruses from Haydn's wonderful oratorio The Creation, in English.The workshop will take place at St. Luke’s Church, Hatfield Road, Wellsway, Bath, BA2 2BD on Saturday 4th November 2017. The workshop and performances will be directed by BCG MD Neil Moore and accompanied on St. Luke’s wonderful grand piano by our regular BCG accompanist Will Ashworth. The workshop begins at 10.00am with registration from 9.30am. There will be an informal performance at 3.30pm— it’s open to all, and the day will end at 4.00pm. Refreshments in the form of tea, coffee and a selection of cakes will be available throughout the day for a small donation but please bring a packed lunch should you require something more substantial. POSTCODE CORRECTION! St Stephen's is found at BA1 5PN. Please ignore the poster's postcode. ​To buy tickets visit the Bath Box Office or contact Helen Chalmers on 01225 463362. BCG concludes the year with its traditional carol singing to the residents of Greystones Care Home and Lansdown, raising money for Bath's Open Christmas which aims to provide hospitality for those who might be alone around Christmastime.